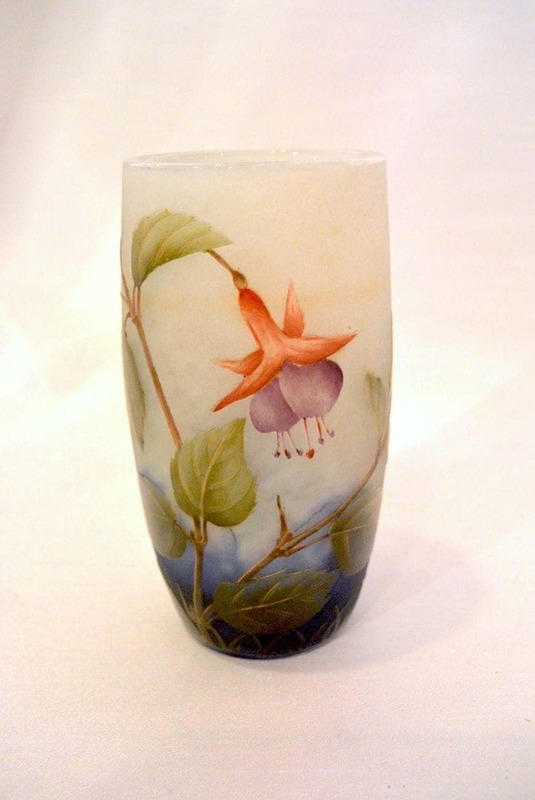 A glass vase called “fuchsia”. A clear glass with internal coloration of white and blue glass powders, etched and enamelled with Fuchsia flowers and leaves. The leaves have gold painted veins.